We all have a common denominator - addiction to cigarettes (or chaw or vaping) - although I suspect there will be web sites created just for the vapers of the world in the future and that’s a sad thought. And we often talk about the journey to Freedom. But I thought I’d just yammer a bit on what it’s like to be free of this addiction. Or at least FEEL free of it from my 12 year perspective. It’s not thinking about a cigarette all day long. That’s the beginning part of this Freedom journey. But if you can survive that initial part of the journey, you move on to the next stage. Which is not thinking about a cigarette every day. Not constantly going through that back and forth dialogue in your head. It’s when you’ve agreed to the journey and settled into that agreement, that willingness. There’s still this “thing,” this awareness, this constant background psychological churning and noise in your head, but it’s in the background, not the foreground. It’s a discomfort, for sure, but not an all-encompassing one. It’s one you can swim through without feeling like you’re drowning. Then the next part of the journey is not thinking about a cigarette every other day or every third day, but it IS being surprised by the thought of cigarette. Or more specifically a craving. “Wow, where did THAT come from after all this time?” It’s in the forgetting about thinking about cigarettes that we become surprised by the thought of a cigarette. And that surprise thought is a barometer of how far we’ve come. For in the beginning we tend to think about cigarettes more than less. And then as the journey progresses even farther, we keep moving forward and those surprise cravings, thoughts about cigarettes, become a part of our smoke-free history. Though they may provoke a blip on our emotional craving radar screen, they are quickly moved into the past. We view them in a totally different way. They aren’t threatening. We understand them, we know they will pop up now and then in triggered or non triggered situations - they just will do that. And we know, through experience - how to deal with them. Our quit kit, which we've developed and altered and maintained, is something we keep close at hand. Because we are cigarette addicts. Ya know?! To me at this stage I consider blips on my radar - Freedom. It’s not perfect in that I never have an urge to smoke. But I don’t want a cigarette 99.9% of the time. Once in a while I’ll experience a desire for one, but that’s ok. Why shouldn’t I? I smoked for over 35 years! Doesn’t mean I have to act on the desire. Perhaps as an addict, my Freedom is not in never experiencing cravings, but in understanding that such a desire will come, and that it will ebb and flow. And it’s okay. But I don’t need to be it’s slave any more. An occasional want is not the same as a desperate everyday need as in the beginning of the journey. Thank God the journey changes as we continue to hold on, persevere and go through it. What’s your experience of Freedom from this addiction? 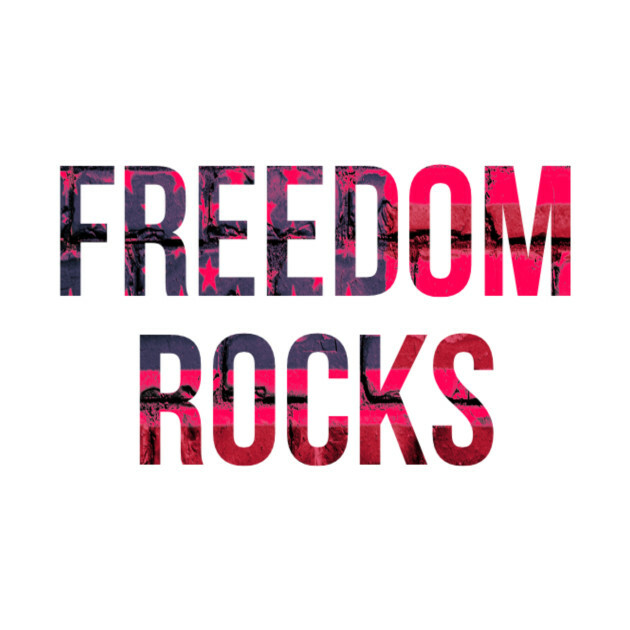 And if you haven’t yet overcome it - what’s your “concept” of freedom from this addiction? As a newbie? I think my “concept” was in never wanting a cigarette again. My reality of freedom is different. It’s in not thinking about smoking every day. And it’s, when that seeming “need” arises - knowing that that need will pass by the time I walk to the kitchen from the bathroom. You have described just exactly how I feel and how we all feel Giulia. I have the constant indecision. I had a really good talk with my quiet councellor today, and she is helping me fine tune my quit. Thank you for your helpful post, and what it's like to be free. Wow, the beginning was challenging but God knows I had lots of practice...I began over and over again. I am so glad to be free, to not have to sneak around looking for a place to smoke and not feel judged by people who might see me. My friend who still smokes and who I would go outside with at work after I felt strong enough in my quit...used to sit on the smoking bench and hide her cigarette behind her back if a car drove by or someone walked by...wow, what a pain. After more than 4 1/2 years without smoking, those out of nowhere craves come very seldom...they never fail to astound me. They have NO power anymore, they actually never did but it took me a while to understand that and to embrace my freedom. I'm not sure which one of the elders said this but I go back to this quote "I'd rather be an ex-smoker with an occasional desire to smoke, than a smoker with a constant desire to stop doing it." I now understand that thinking I will magically reach a point where I never think about cigarettes is unrealistic. My freedom is knowing that I am stronger than the addiction and I'm in control of my life instead of the other way around. Not being worried about money, not smelling horrible, not wasting hours of my life, not waking up short of breath are all amazing benefits of that freedom. And there might be more, but that would be for another blog!!! WOW!! What a great blog! I knew it would be just from the title. That's why I saved it to read later, and I wasn't at all disappointed!! For me, freedom started the first day I put out my cigarette. I know that may be hard to believe but after spending a few months on this site during my preparation and of course doing the others exercises that were teaching me all bout my enemy I was just happy to reach the point where I no longer relied on cigarettes. I wouldn't recommend this to anyone because this was just a personal thing that I felt I had to do, but I kept a single cigarette in my pocket for the first few months, just to prove that I was serious about quitting. I know. Probably tempting fate, but I never relapsed. As for the freedom, it really came just as you described it. In stages. But I do remember the first day that I honestly never thought about a cigarette at all because to me, that's a huge milestone. That day came two days after my two month anniversary. I've always tried to describe the freedom in my blogs but the bottom line is that it's like me taking a picture of a fourteener. (I'm a terrible photographer) and realizing that a picture will never really capture what I'm seeing. Once a person lives the freedom, it's utterly amazing. Like a rebirth! And in a way, it actually is! I think for now, I'll just bookmark this blog because it's a good description and I think people should see it. All I can say is that I've never been happier in my life. Beyond the freedom, there's a sense of pride and a better understanding of our entire beings. It's something we had to learn in order to get to where we wanted to be. Good blog. It got me thinking!! Thanks. This is a FANTASTIC post Giulia. I had to either be looking for work or working and looking for work. When I quit, I happened to have a lot of time without work so I spent a huge amount of time on a quit smoking site learning everything I could and stopping people who had one in their hand from smoking by telling them something they needed to hear. I was involved like I have been here. Being involved here has never made me think of smoking. Wonderful responses, everybody. Thanks for adding your experiential wisdom to this blog. Keep 'em coming. Every bit of wisdom helps a Day Oner discover the "how to." Ramble on,Chuck_Quit_2-20-2011 Your rambling responses are stand-alone blogs all on their own. "Beyond the freedom, there's a sense of pride and a better understanding of our entire beings. (Emphasis mine) It's something we had to learn in order to get to where we wanted to be." That is EXACTLY the magic part of this journey. The BEST part of this journey. We have to get to the better understanding of our entire beings to become free of this addiction. That's why some of us keep saying it's so empowering. We learn so much about ourselves when we delve deep. Some of it's not pretty. But in recognizing and overcoming the "not pretty" part we become magnificent! That's the part of Chuck_Quit_2-20-2011's comment that really struck me too, Giulia! I feel almost euphoric after finding this power and strength against my addiction. I hear you! And it carries on through the rest of our daily beingness, this sense of power. When we conquer an addiction we feel like we can conquer the world! How can I better explain that to my Optometrist? He quit once in his twenties, before he met his partner. And because his partner smokes too, he started again. He is now in his early to mid 40's, an exceptional practitioner, and a therapist along with that When I come out of a consultation for my eyes, it feels better than a session with a therapist. He is always smiling, finding the sliver line in everything, except when it comes to his smoking. His mom died early in life of Lung Cancer, yet, he told me yesterday he "likes" it too much". I recommended he comes here and read, but I know he will not. I care very much about him, he is gay, and that on its own had to have been a struggle for him to become so successful, he owns his practice, has probably about 10 employees, and he still practice, even though he reduced his hours by a lot, taking care of the whole administrative side of the business. I have been going to him for over 10 years and we built a relationship beyond the patient-provider, and it would make me so happy to be able to help him. I think all we can do is provide the doorway, which you have done. They have to get to the place where they choose to open it. Just like we all did. I hope it happens for him before he gets to that point of no return, i.e. AFTER a diagnosis of a smoking related disease. I know G, that is all I can do so far, but I look at him with a mother's eyes, and wish he could live a long and happy life. But as you say, it will be up to him to open that door. When I told him the best thing I find quitting smoking gave me is my freedom, he replied he remembers, because he had quit in his 20's. He is definitely not ready, at every comment I had, as soft as it was, (after all I can't afford to alienate one of my longtime doctors), he had a reply to justify his choice. I smiled, and he had the good sense of appreciating what I am trying to do; he thanked me for reminding him every time, he knows it's coming from an honest place.